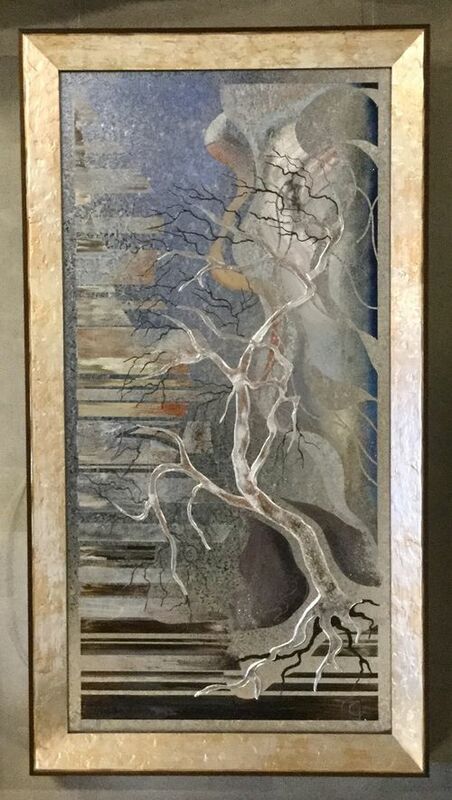 An original oil painting on a silver textured metal panel executed with a variety of paints and techniques and a three dimensional quality. Its impressive frame resembles wood bark complementing the subject matter of this work. Bronze, gold and silver colours are perfectly balanced to ensure this painting will fit in easily in any interior scheme.